Laurel hedging is a evergreen shrub with large glossy green leaves, white flowers will appear on upright spikes in the spring followed by cherry red berries (Harmful when eaten). Online sizes range from 9cm to 200cm P9 to 15L (If you require anything larger please ring 01572 824933 for a quote). We always promote the conatiner grown plants as we believe they are the best value for money and offer least risk especially when planting larger size Laurel hedging. 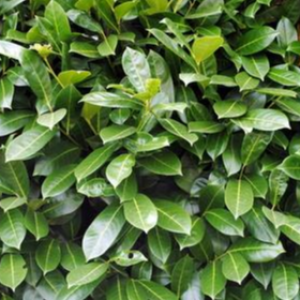 Laurel hedging is a perfect for a low maintenance hedge that is drought and shade tolerant.